J.S. 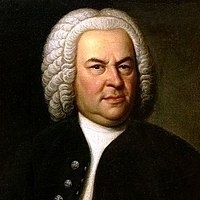 Bach composed one of the supreme achievements in all of music with his epic Mass in B minor! For well over two centuries, it remains a spiritual and dramatic summit of human creativity. Experience Bach's tour de force in theethereal setting of the Cathedral along with nationally-acclaimed soloists, the Helena Symphony Chorale, and members of the HSO. This concert will be presented twice, on Sunday, Feb. 24, and Monday, Feb. 25.